I must admit I can’t remember where and when I took this picture (sifting through several ten thousand pictures would take a while…), although I’ve got a suspicion it was near Kilchiaran. 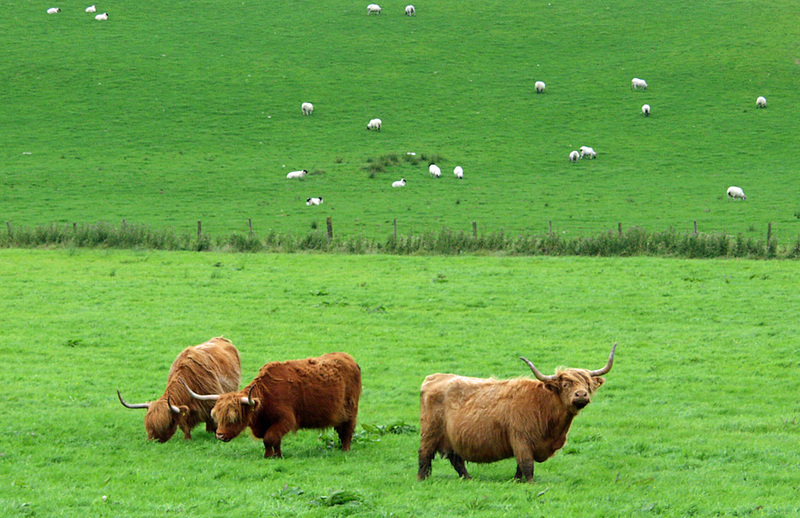 Some impressive Highland Cattle in one field, lots of sheep in the neighbouring field. This entry was posted in Cloudy Weather, Landscape, Repost and tagged cattle, Islay, Kilchiaran, sheep by Armin Grewe. Bookmark the permalink.